Gloria Killian was released from prison on 8/8/02 after serving more than 16 years on a sentence of 32 years to life for a crime that she did not commit. Throughout her trial and incarceration she always maintained her innocence. In March 2002 the Ninth Circuit Court of Appeals determined that her conviction was based solely on perjured testimony and overturned her conviction. As a former law student, Ms. Killian was assigned to the prison law library where she worked for 14 years, providing legal assistance to other inmates. She worked extensively with battered women, as well as others, and developed specialized legal services for many different areas of the prison. She was instrumental in the founding of the USC Law Project at the California Institution for Women. Since her release, Ms. Killian has been tirelessly advocating for the humane treatment and release of the women that she left behind. She works as a consultant to agencies in the criminal justice and public policy fields, and has been the keynote speaker at severalsymposiums. She has testified for Select Committees of the California Legislature, and spoken extensively about the issues and concerns of incarcerated women. She has lectured at USC Law School, Loyola Law School, Southwestern Law School, and Arizona State University, among many others. In 2008 the District Attorney( Christopher Cleland) who prosecuted Gloria Killian was brought up on charges by the California State Bar for his conduct in the Killian case. After a lengthy trial, he was found guilty and admonished by the State Bar. Cleland is one of only 5 prosecutors who have been brought up on these type of charges in the past 8 years in California. volunteer with many nonprofit organizations. Sistahs. She is a member of The Dramatists Guild, ALAP, ICWP and ATAS. of ACWIP. She’s an artist, writer/blogger and mediator and is active in the community in a number of organizations. A past board member of Volunteers in Parole from 2000-2005, she coordinated the UCLA 5 hospital program in Gastroenterology from 1991-1997 and has worked with veterans at the VA Hospital. Woods is also an active supporter of the Environmental Working Group and works as a volunteer with various children’s organizations. In addition, Madgeis the marketing director for TheNextFamily.com, an online magazine for families that are becoming the new normal. She loves spending time with her four grandchildren. She is active on Facebook and has her own well read blog. 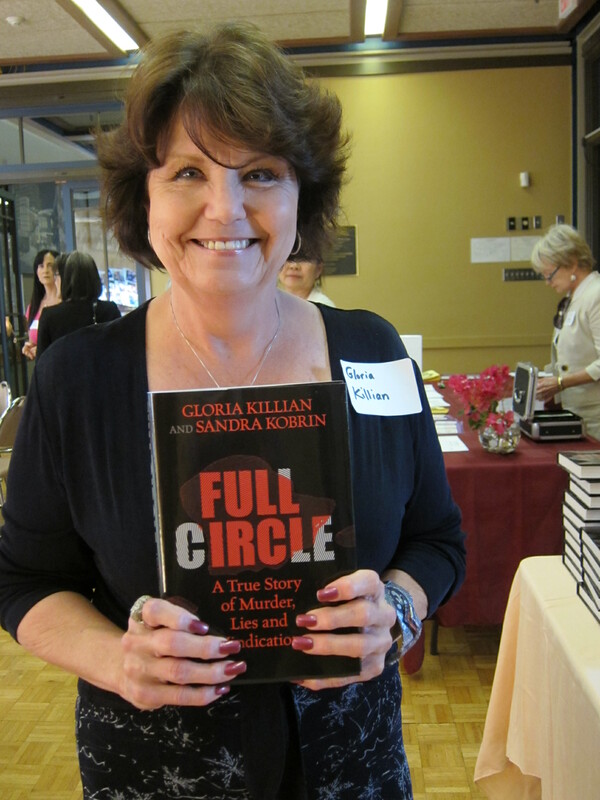 my 39 yr old daughter died of breast cancer 2 years ago … she sends me whispers … I’ve always cared about women in prison … she owned a coffee shop called “Full Circle” in Montour Falls NY … Gloria Killian: you are my type of person … instead of spending those years on the “pity pot” you used your present moments to help others … you are my hero! and you continue to help them … you are blessed! Joyce Ride is a remarkable person … an angel … she has earned her halo! I want to be involved somehow! .I am so sorry about your daughter and what an interesting connection to her coffee shop. Are you interested in a pen pal?